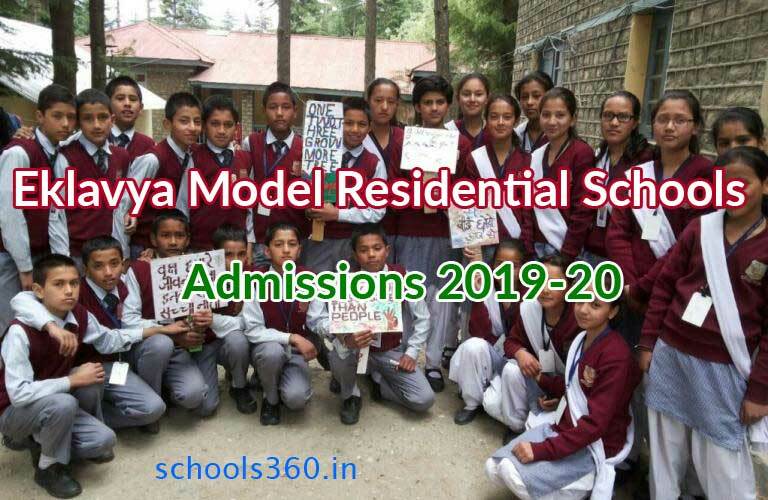 EMRS Entrance 2019: Notification for Admission to Eklavya Model Residential Schools in Gujarat for the Academic Year 2019-20 has been Released. Application are invited from Students Studying Class V and having age between 9 to 11 years of age are eligible to appear EMRS “Entrance-Test” for class VI. 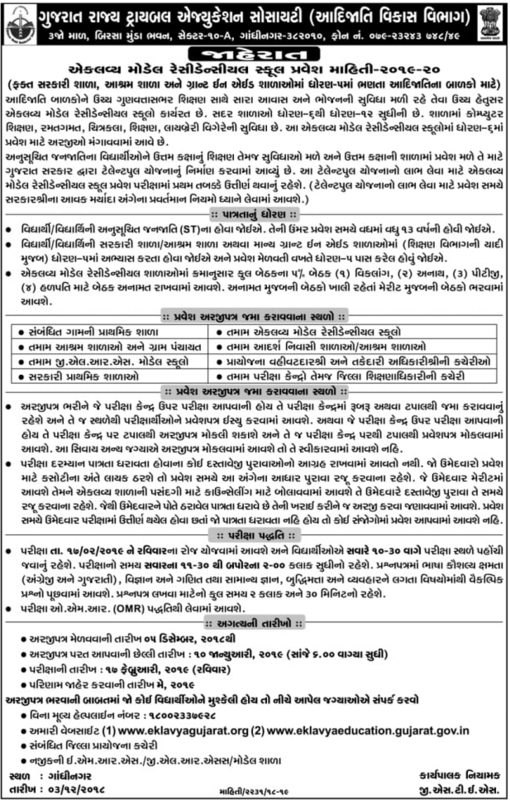 Applications are being invited in the prescribed form from the students belonging to scheduled Tribe class V from any English / Gujarati Medium School for admission in class VI in Eklavya Model Residential Schools for the session 2019-20. All the costs of the students like food, lodging etc. will be borne by the Government. a, Admission will be through a written Admission Test only. Admission is restricted only to students who are Scheduled Tribes of Gujarat. Birth certificate from competent authority or Head of the Institution last attended. c, Mark / Grade Sheet of last Final Examination appeared. Recent colour passport size photo-2 nos. If selected for admission, original TC to be submitted from previous school and all above original documents to be produced for verification. Student must have passed Class-V from a school. Student must be a ST of Gujarat as permitted by Presidential Assent 1950 (40 Groups) available in the website of Tribal Development Department. If selected, students must undergo Medical Examination from Competent Medical Practitioner. Criteria as fixed may not be relaxed. Answers to be written on the Question Paper itself. Question will be in English & Gujarati. Answers can be written in English or Gujarati. The Final Merit list of EMRS Entrace Exam will be declared soon. The Selected candidates will be asked for Document Verification and Medical Test.